A tooth fracture can occur without warning. Whether caused by a sports-related injury, an accident, or simply biting something wrong, tooth fractures threaten the health of the teeth and can detract from the smile's beauty. Fortunately, there are many aesthetically pleasing options for treating tooth fractures. Restorative dentistry treatments from Dr. Byron W. Wall can stop dental damage from progressing while restoring the health and beauty of your smile. To find out which treatment for tooth fractures is right for you, contact our Albuquerque, NM practice. Why Is it Important to Seek Treatment for Tooth Fractures? It may be tempting to ignore a small tooth fracture, especially when it doesn't cause pain or isn't too noticeable, but even a small fracture can lead to serious dental damage. This is because tooth fractures, no matter how small, disrupt the enamel, the protective outer layer of the teeth, allowing plaque and bacteria to reach the inner, delicate structures of the teeth, making it easier for tooth decay to occur. The longer fractures are left untreated, the more damage can occur. Over time, bacteria may penetrate the inner root canal chamber of a damaged tooth, leading to a root canal infection. Root canal infections are painful and dangerous to oral health because they directly impact the nerves and blood vessels of the teeth. If left untreated, root canal infections can cause painful toothaches, abscesses, or even tooth loss. Whether dental fractures are minor or severe, there are multiple treatment options for repairing dental damage and restoring the smile's appearance. The following treatments are some of the most popular aesthetically pleasing options for treating tooth fractures. Dental bonding: Dental bonding may be used to treat mild dental fractures and other flaws. 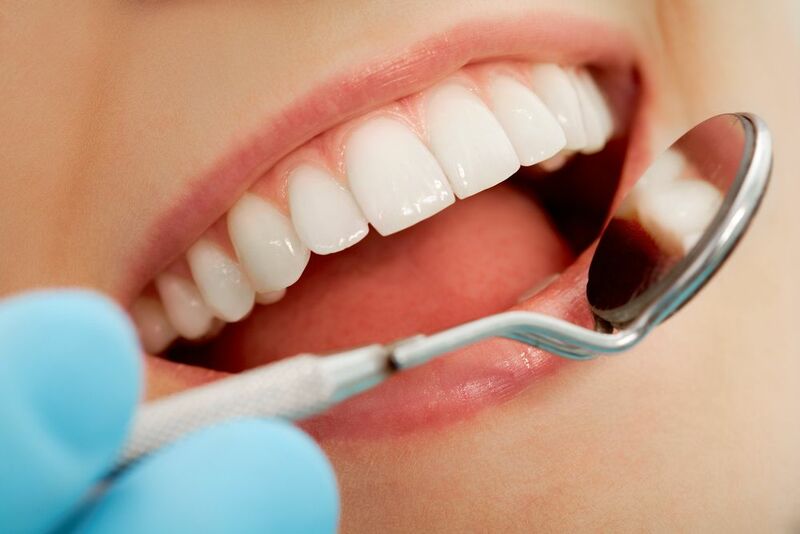 During dental bonding treatment, a tooth-colored resin is applied directly to the damaged tooth and shaped to the desired size and appearance. The resin is hardened and polished to match the luster of the surrounding teeth, effectively treating the dental fracture and restoring the health and beauty of the smile. Porcelain veneers: Porcelain veneers are another treatment option for mild dental fractures. Porcelain veneers are thin, custom-made, tooth-shaped shells that fit over the front surface of the teeth. Each veneer is made of porcelain that is closely matched to the color of the surrounding teeth, allowing for a seamless blend between the veneers and the natural teeth. Onlays: Onlays, also called “partial crowns,” are another tooth-colored option for repairing fractured teeth. Tooth fractures that affect the molars may be treated with onlays. Onlays are made of porcelain and are custom-made to restore the damaged tooth. Dental crowns: Moderate to severe tooth fractures may require dental crown treatment. Dental crowns are another type of tooth-shaped restoration that completely encase a damaged tooth. Dental crowns can help save damaged teeth from further damage or requiring extraction. For more information about treatment for tooth fractures, or any other dental treatments, you're encouraged to schedule a consultation with Dr. Wall.